Fashion meets function. 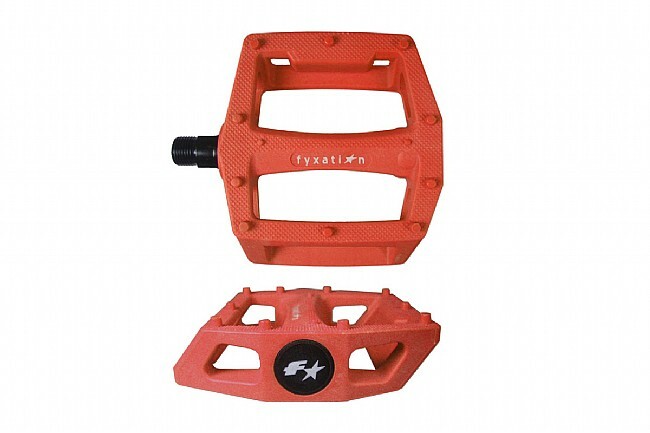 Fyxation's Gates Platform Pedals feature a high-impact nylon body in plenty of colors to match any bike's scheme. 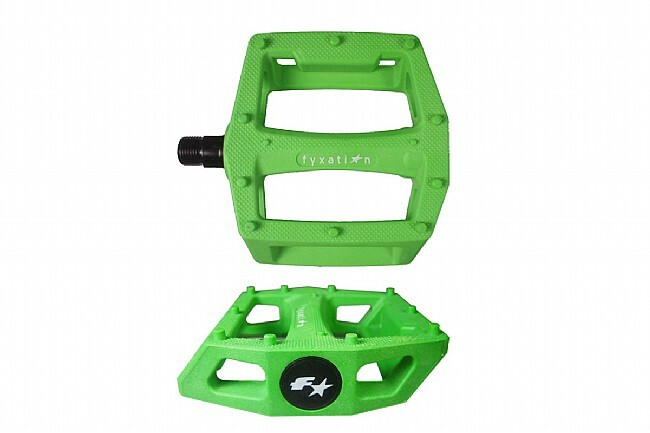 The extra tough chromoly steel spindles and loose ball bearings to hold up to the worst freeride and urban abuse, and ensure the pedals are easily rebuilt when you've tacked on the major miles. 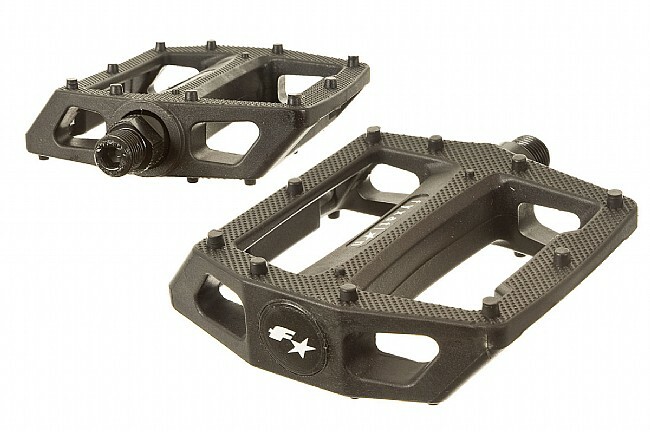 Raised surface pegs deliver extra traction in any pair of shoes, and the Gates pedals accept most toe clips and straps for those with a more aggressive riding style. Available in Black, Green, Orange, Pink and White. Each color perfectly matches Fyxation tires.